This post is part of our special coverage Myanmar's Rohingya. Myanmar is in the headlines these days because of two things: the historic European visit of Nobel Peace prize winner Aung San Suu Kyi, and the violence in Rakhine State located west of the country. It’s difficult to blame a particular group for the riots, killings, and burning of houses that have taken place in the state in the past two weeks but the victims were clearly ordinary Arakanese, the ethnic majority in the state, and the Rohingyas who are asking for recognition in Myanmar. According to a government report, a total of 2,528 houses have been burnt down since the clashes started. Of these, 1,192 belonged to Arakanese and 1,336 belonged to Rohingyas. The report also mentioned that 29 people had died in the fighting—13 Arakanese and 16 Rohingyas. Thousands have been displaced because of the communal violence. There are a total of 37 refugee camps housing 31,884 victims so far. The Rohingyas are often described in the mainstream press and academe as the ‘most persecuted minority group in Asia.’ But opinion in Myanmar is divided. In fact, the government doesn’t recognize the Rohingyas as among the country’s ethnic groups. The consensus among Burmese, it seems, is that the Rohingya are illegal migrants from neighboring Bangladesh—a view that also treats this as an issue of sovereignty rather than religious animosity. Indeed, many—especially ethnic Arakanese—have been resentful of the portrayal of this as a religious conflict, even though many have resorted to racial and religious slurs in their verbal attacks on the “Bengalis,” as they prefer to call the Rohingya. …on the streets, popular opinion was more in favor of taking a hard line against the Rohingya. 1. The conflicts in Rakhine did not begin as a consequence of religious strife, but because of the acts of breaking the prescribed laws. 4. We vow to do our best in preventing the spread of this violence to other parts of Myanmar. 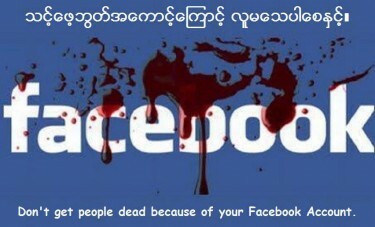 On the internet the unrests are viewed in different perspectives: one is that the government is playing a trick to disturb the people’s attention on them; the other one is that the government cooperated with Arakanese to eradicate Bengalis; and the last one is behind the sight the Rohingya are planning to cause uncertainty to the government and Daw Aung San Suu Kyi and ask their own autonomy in the area. As riots occurred in Rakhine State, local battalions arrived at the scenes to restore peace and stability and prevalence of law and order of the region and safeguard the life of the local people as of 8 June. Beginning that evening, the local battalions are providing necessary assistance to the local people. Moreover, some naval vessels are discharging duties of patrol to protect Myanmar waters territory west of Maungtaw not to be infiltration of unscrupulous persons. Poverty and state repression leads to intense frustration that does not have an easy outlet and can be seen as a common root cause of communal violence around the world. …in order to enable the provision of adequate food and health services to the affected populations, both of your governments are requested to cooperate with one another so as to provide complete, unimpeded, secure access to international agencies at the earliest possible opportunity, in order that these agencies can assess the situation and make arrangements for the necessary provision of emergency relief supplies. To the surprise of many activists and media people outside Myanmar, veteran officials of the opposition 8888 Generation Student Leaders issued a statement which affirms the government line about the non-recognition of Rohingyas as citizens of Myanmar. Ko Ko Gyi: Unless inevitable, we tried to avoid some issues patiently. Now it is time that we announce our view on Rohingya clearly. Rohingya is not one of the ethnic groups of Myanmar at all. We see that the riot happening currently in Buthedaung and Maungdaw of Arakan State is because of the illegal immigrants from Bangladesh called “Rohingya” and mischievous provocation of some international communities. Therefore, such interfering efforts by some powerful nations on this issue (Rohingya issue), without fully understanding the ethnic groups and other situations of Burma, will be viewed as offending the sovereignty of our nation. Since no country wants to take them in, we feel sympathy for those people on the ground of humanity and refugee. Taking advantage of our kindness and deference, if the powerful countries forced us to take responsibility for this issue, we will never accept it. Some activists are asking if Suu Kyi, who urged the application of rule of law in resolving the issue in Rakhine, shares a similar position with the 8888 Generation Student Leaders. The Myanmar government claims the situation is now under control in Rakhine. But the suffering in the villages of the Rohingyas continues to worsen everyday.